People who try to become healthier often make mistakes as a result of what they have been told to eat by the media. The most notorious example is how soy was paraded as a marvelous health food, and it is only now that the truth about soy is being revealed. Soy is virtually always genetically engineered, and it is particularly damaging to the thyroid, and thereby causes hormonal imbalances. The dangers of soy could fill up multiple articles. When heading into a restaurant, many believe that the salad bar is a healthy and nutritious option. They are very wrong. The core ingredient of most salads is lettuce, a vegetable which has very little nutritional benefit. Lettuce is on par with corn nutritionally, and we are talking about real corn; not the genetically engineered variants that are lining grocer shelves. Practically all of the restaurant lettuce is 'conventionally' (chemically) grown, meaning that this normally nutritionally deficient vegetable has only 1/10th the nutrients that it did eighty years ago, and it was hardly nutritious back then. The truth is, eating a lettuce salad will usually leave you hungry, and it will do very little to improve your health. If you are actually satisfied from eating salads, then it is probably because of the hazardous, empty calorie additives that top them. In comparison to these industry-perverted toppings, lettuce seems like a nutritious super food. 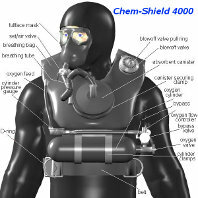 The Chem-Shield 4000 (TM) -- Perfect for grocery gettin' and chemotherapy techs! Selecting healthy foods from grocery stores is very difficult in this era, since so many of the products are actually toxic. Reading the ingredients can be scary, and most people do not understand them. This is intentional. There is one ingredient that recurs often: modified food starch. The only thing this label tells with certainty is that the so-called "food starch" is not really food starch anymore. There is no definitive way to know what the derived substance is, but it is unnatural. It is most often corn starch that has been chemically treated to change it into a thickening agent, emulsifier, or a stabilizer. It can be chemically treated in many ways, and for different reasons. Many of the foods are now being altered by being fermented with genetically-engineered bacteria. Consumers have no way to know. The F.D.A. believes that people have no right to know; as is the case for radioactive foods, genetically-engineered foods, and so on. Written by Dan L. Edmunds, Ed.D., B.C.S.A. Dan L. Edmunds, Ed.D., B.C.S.A. 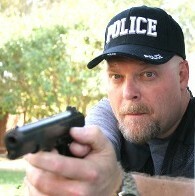 Psychologist and guest columnist Dan L. Edmunds describes the the brokenness and corruption of modern psychiatry from first-hand observations.He explains how it has become locked in a self-defeating paradigm of enslavement instead of empowerment, which is now more like a penal system than a mental health system. One of my clients, a thirteen year old boy, related to me about his prior time at a residential treatment center. He said that many of the staff would call him and the other children by obscene names, that he often felt bullied, degraded, and "like I never was a human being". The father of this young man told me that "you have done more for him in a few weeks than many did in years." This was a kind compliment, and I was pleased that I was able to make a contribution to this boy's life; but beyond that, I began to think what exactly was different in my approach with this young man that has allowed a connection to blossom forth to help him progress in a short period that was contrary to what he had received in years of prior 'treatments. I found the answer to this in what I sought to create, and I believe this is the key to any genuine emotional healing relationship. Beyond that, I radically tore down the barriers that would separate us. I tore down the hierarchy. I did not bully him or seek to use my position to force or coerce. From the beginning, I informed him that he was in a safe place to be his actual self, a place where he could feel comfortable to express whatever he chose without judgment or hostility. It came to be that whenever crises arose, he would often seek me out. Scouring the health news from mainstream sources can be very disturbing, and even confusing when they use doublespeak, as was written about in the book, 1984. Doublespeak is the act of promoting two completely contradictory beliefs as true to sow confusion and foster manipulation. It is a way of negating unwanted concepts. For instance, the New York Times tells its readers to spend wisely on vitamins, because vitamins are ineffective and have not been thoroughly tested. Technically, water was never thoroughly tested either, for those who are interested in such word games. According to The Times, only U.S.P. (U.S. Pharmacopoeia) vitamins are even worthwhile. Yes, this is the very same Pharmacopoeia that once suggested patients drink mercury and arsenic compounds for therapeutic effects. The Times' behavior hearkens back to the dark days when chiropractors were imprisoned for making 'unapproved medical claims', like for instance, their claim that vitamin C was beneficial to the immune system. You can safely bleach your own teeth using a natural substance: oxygen. Simply rinse and gargle with oxygenated water, more commonly known as hydrogen peroxide, every time that you brush your teeth. In a matter of weeks, a tremendous change will be seen in the color of the teeth. The oxygen from hydrogen peroxide will safely bleach teeth white. If caught early enough, gargling with hydrogen peroxide can sometimes wipe-out a sore throat infection. Unlike fluoridated toothpastes, it can even be swallowed without the necessity of a visit to a hospital. Ingestion of low doses is actually good for the body. The main side effect is a reduced cancer risk. The ideal peroxide is 3% strength or weaker of food grade hydrogen peroxide. Normal hydrogen peroxide contains chemical stabilizers and other additives, which may get absorbed into the body. Most people associate hospices with hopelessness, and accept that they are a necessity. After all, all of us must eventually die; even Health Wyze Report readers. However, there is a much darker side to hospice. They are a symbol of death and a cult of death worship. 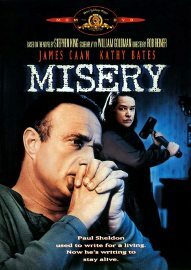 Upon entrance to a hospice, the visitor is immediately depressed by the imagery. The lighting is dim, and dust covered plastic flowers are the only thing to provide solace. Live plants would clean the air and symbolize life, but the artificial plants symbolize death and stagnation. Paintings of distant lands that the dying will never visit hang upon the walls. The air is filled with synthetic air fresheners, as if trying to mask the smell of decay. In the 18th century, the hemp plant was used extensively for everything from clothing to ship sails. It is extremely strong and lightweight, so there is a plethora of industrial applications. America's Founding Fathers grew it, and the U.S. Constitution was written upon hemp paper. Yet it is now illegal to grow in the United States. It is nonetheless making a comeback. 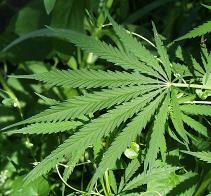 Hemp-made clothing is now available, and hemp bricks are being used to built select homes. Hemp oil is the easiest and most renewable oil in existence; so it could therefore solve many of our economic problems, including our dependence on petroleum. Furthermore, it does not produce severely toxic fumes as petrochemical products do. When burnt, it produces only carbon dioxide (not monoxide), which benefits plants, and thus the overall environment. Its financial threat to the petrochemical industry plays a large role in why it is illegal to grow it in the U.S.
"The 68-year-old Montgomery Village man whose Bells Palsy clinic treated thousands of people over a 20-year period was sentenced to spend the next seven months in county jail after an emotional hearing in Montgomery County [Maryland] Circuit Court last week... Judge Marielsa Bernard sentenced Robert Scott Targan on Nov. 14 to more than 90 years in jail for 24 separate charges, but suspended all but 10 years, then assigned the terms to run concurrently, leaving Targan with a nine-month sentence. 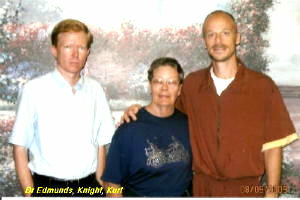 Targan received credit for two months he has already spent in jail. Bernard also ordered Targan, who has a host of severe medical ailments, to pay more than $40,000 in restitution and to five years supervised probation." Ninety years? What was Dr. Targan's heinous crime? The crime was curing long-term sufferers of Bell's palsy in patients whom other doctors were unable to help. Some desperate doctors were even recommending him to their patients, so that he could do what the American Medical Association had forbidden them from doing. Obesity has become an epidemic in the U.S., along with most other countries throughout the civilized world. The Western world has adopted an unhealthy approach to eating, which would have been considered gluttonous in the not-so-distant past. We pay little attention to the amount that we eat, and we hypnotically stare at entertainment throughout our meals; neglecting meaningful interaction with others. As such, an industry was born to cater to the obese. Weight loss is estimated to be a $40 billion industry, whose executives would be most unhappy if people really did lose weight. If their diet plans worked, then we would surely have a population of fit, healthy, and slim people. The industry would be self-terminating. It would have served its purpose. Instead, we have two and six week diet plans that help customers to lose a tiny amount of weight (usually less than 10 pounds) to soon regain it with even more. This is actually part of the business plan, because this industry profits most from people who remain unhealthy and miserable. Keeping people in a perpetual state of highly-profitable, managed disease care is a familiar story. Diet products fail because that is part of their design, just as the medical industry has no cures for its cash cows, and policy makers will make certain that it never does. There is no money to be made from healthy people. Meanwhile, surgery-enhanced celebrities create an air-brushed, two-dimensional facade of how people should look; to the delight of the diet industry. "Drop the almonds! NOW MISTER!" In 2007, bitter almonds were becoming popular throughout alternative medicine for their vitamin B-17 (laetrile) content. Health food stores had stopped selling B-17 in the form of apricot seeds in 2002, due to armed raids. The F.D.A. openly banned apricot seeds and laetrile extracts, because they had been published as a cure for cancer. Curing cancer is illegal in America. The British government followed suit, and did the very same things during 2002. Innocent people in both countries were arrested and wrongfully charged as criminals for merely selling apricot seeds, a carrier of vitamin B-17. Bitter almonds were later discovered to be the highest source of this vitamin. Vitamin B-17 was still somewhat a newly-discovered vitamin, and it is rare in nature. In fact, there are organizations that are affiliated with orthodox medicine which still refuse to officially recognize laetrile as a vitamin. The reason for the exploding popularity of vitamin B-17, and thereby bitter almonds, was due to the fact that vitamin B-17 has dramatic and miraculous tumor-killing properties. While alternative medicine has had other effective and non-toxic cancer cures since the 1930's, this new vitamin really looked like the magic bullet. There were reports everywhere of cancers being killed merely from patients eating bitter almonds daily. Soon there would be almond extract capsules, so that these same patients would only need a cheap, non-toxic pill per day. This did not bode well for the most lucrative segment of the medical industry. Hundreds of billions of dollars were expected to be lost in the oncology market. Cayenne pepper is a herb which should be added to foods whenever possible. Cayenne's benefits to the digestive system, circulatory system, and the heart have earned it the nickname "miracle herb". Some have used it to aid with weight loss, due to its ability to boost the metabolism. 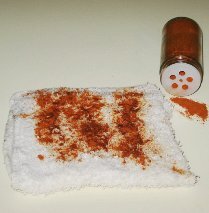 Cayenne pepper was first used as a stimulant by the Cherokee Indians. It is most notable for its effect upon the cardiovascular system. Cayenne has been known to stop heart attacks within 30 seconds when taken orally. Opium has been used medicinally and recreationally for centuries. Fifteenth century China doctors used opium for medicine, with some using it recreationally. It was the first effective antidepressant, sedative, and pain reliever. However, opium addictions only began in the eighteenth century, when the British began to monopolize the sale of opium. 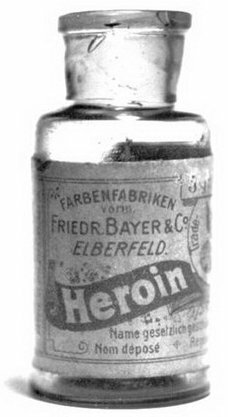 It is no coincidence that when the British, with their chemical industry, began selling opium that these chemically altered opiums began creating addictions. Completely natural, unadulterated plants are not addictive until they have been "refined" and concentrated. As a result of what the British did, opium eventually became illegal under Chinese law, but the sale from the British continued. In 1839, the Emperor, Tao Kwang, ordered his minister Lin Tse-hsu to deal with the opium problem. Lin requested help from Queen Victoria, but was ignored. As a result, the Emperor confiscated 20,000 barrels of opium and detained some foreign traders, many of whom were British. The Chinese believed that because their ceramics and silk technologies were superior to their British counterparts that their naval ships would also be. They were wrong. The British retaliated to this interference with their drug ("medical") trade by attacking the port-city of Canton. Cherries are considered to be among the most powerful disease-fighting foods available, largely because of their high anti-oxidant content. Cherries are becoming well known for their ability to improve the circulation, along with possessing anti-aging and anti-carcinogenic properties. The title of an enlightening U.S.D.A. report was, Arthritis hurts. But fresh cherries may help. Of course, the F.D.A. eventually noticed this report after it began getting quoted at Internet health sites such as ours, so the article seems to have now disappeared, but we archived it at our site. The evidence of this governmental admission can also be found by plugging the report's title into an Internet search engine, but the entire report has become difficult to find. At one point, the F.D.A. threatened to use the Federal Marshals to arrest cherry farmers, and even confiscate the entire U.S. cherry crop if farmers continued quoting the scientific findings about the medicinal properties of cherries from the government's own reports. The most common complaints amongst those suffering with chronic disease and illness are fatigue, exhaustion, and the inability to concentrate. 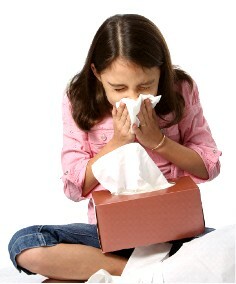 When the immune system is weakened, it uses up all of its reserve energy trying to fight off the threat. Likewise, due to our modern eating habits, the immune system of the average person is under constant stress, leading to chronic fatigue. 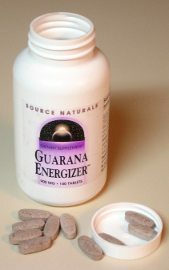 Guarana is an all natural stimulant which contains a substance called guaranine, which is often mistaken for caffeine. Guaranine is safer, and yet more potent as a stimulant. Guarana also contains large amounts of theophylline, theobromine, and tannic acid. It is rich in saponins which reduce the risk of cancer and boost the immune system. Guarana seed is not water soluble, so absorption is usually slow. While the effects of caffeine only last for around 3-4 hours, the effects of guarana can last for 8-10 hours. Other than elevating the blood pressure, guarana has proven to be harmless. Parasitic infestations are an epidemic in the United States, with most sources estimating that a massive 85% of Americans have parasites. Because of this, we recommend a parasite cleanse every six months, care in choosing restaurants, and washing after exposure to animals. Unfortunately, most doctors are not trained in the treatment of parasites. It is only when parasites are visually seen that American doctors will suspect them, which requires an especially terrible case. There are many symptoms of parasite infestation which people experience in daily life, believing that these issues are completely normal. While sickness has become somewhat normal in the modern lifestyle, it does not need to be. The amount of damage that can be caused by parasites is virtually limitless, because many types of them are small enough to travel anywhere in the body through the bloodstream. Parasites obtain sustenance by robbing the body of nutrients. They are the root cause of lupus, with all other issues being secondary to the parasitic infection. Therefore, lupus cannot be cured without a thorough parasite cleanse. Lupus is officially reported to be just another "incurable disease" and an "autoimmune disorder" by the establishment. Most parasites can be avoided by thoroughly cooking foods and by never drinking unfiltered water. A typical allergy-prone individual has to take a pill every twelve hours endlessly if he trusts orthodox medicine to treat him, and this merely suppresses the symptoms temporarily. What we call "allergies" are actually just the symptoms of a body trying to defend itself from perceived threats, so allergies are incurable until the aggravating factors are removed, or the irate immune system is calmed. It is impossible to completely stop the histamine reactions for perceived threats, because these reactions stem from the immune system reacting appropriately. Completely stopping these reactions using standard symptom suppression techniques would mean totally halting the immune system, and it would mean death. It is why most established therapies are ultimately so futile, and why there is no sign of a pharmaceutical cure. Conversely, alternative medicine deals with the root cause of the problems, instead of merely suppressing symptoms, so there are vastly better options available with holistic methods. Chronic allergies are caused by the overgrowth of candida albicans. This is a type of yeast that thrives in the gastrointestinal tract whenever the body has an acidic pH. There will always be some of this yeast in every human being, but it is ideally balanced by beneficial bacteria. The beneficial bacteria is commonly referred to as intestinal flora. Intestinal flora helps in the digestion process, and it furthermore aids in removing toxic materials. 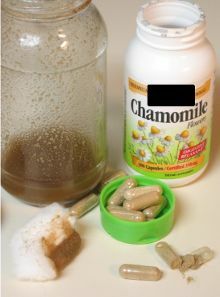 Conversely, candida is a parasitic yeast, which robs the body of nutrients, and it increases the toxic waste products that a body must eliminate. These two groups of organisms are two warring armies. The U.S. Patent and Trademark Office has a patent for, Genetically Engineered Swine Influenza Virus and Uses Thereof (patent #8124101). It was filed in 2005 for approval. The makers of the human variant of the swine flu virus waited until the patent was finally approved in January of 2009, before unleashing the virus into the wild. The makers of the swine flu vaccine had begun the lengthy patenting process long before the swine flu supposedly existed, which means that the outbreak was no accident, and the virus is clearly not natural. Patents only apply to man-made items, and natural things cannot be patented. The virus conveniently went public only after its vaccine patent was approved, after patiently waiting 3 years for that to happen. The pandemic was declared just five months after the patent was approved, in June of 2009. The tremendous hysteria following the outbreak was promoted by the same groups who had invented this genetically engineered virus. The word "invented" was actually used to describe the virus in the patent application.